Jan.2008. This photo sent to me by George Kane, Airdrie, Scotland. ".......picture of me at Rumford Street School when I lived at 67 Muslin Street. I'm not sure the year, I'd guess about 1952. I was born 23 Feb 1945. I hope some people can pick themselves out...... "
present state ..... worn by 56 years of wear and tear. 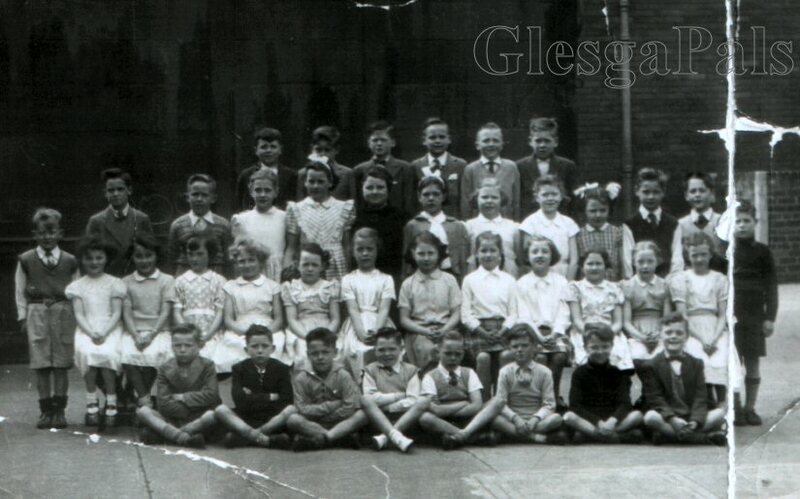 2nd Row No.2 Ellen Gemmell 2nd Row No.3 Dot Kin Just re submitting this one in case it didn't get thru. Webmaister ur a star shining brightly 4 all of us. Awrebest, yur Brigton Rose.